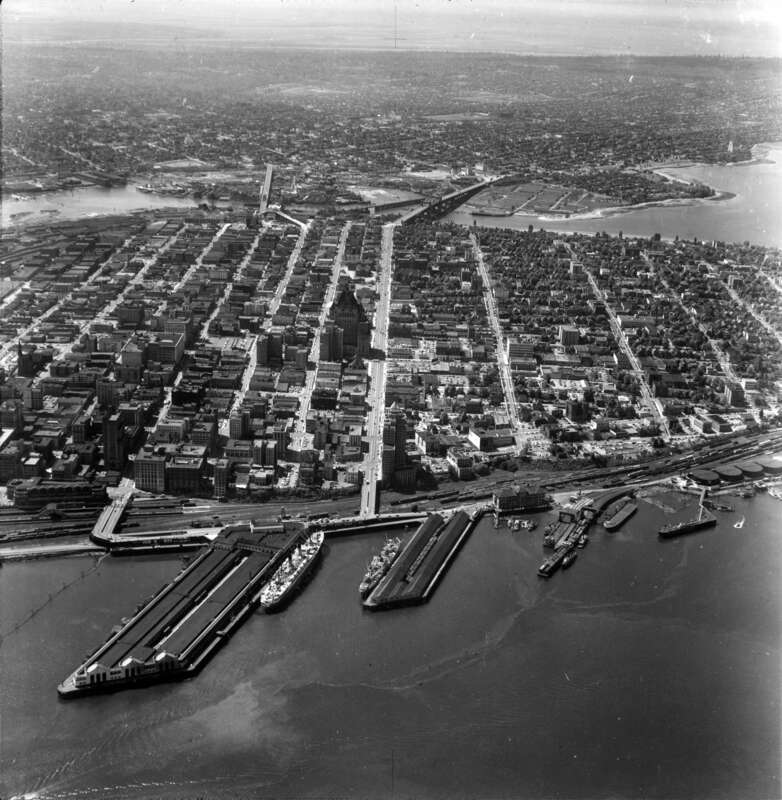 Item is a photograph of the Vancouver waterfront, looking southwest down Burrard Street, showing the waterfront and downtown Vancouver, including Waterfront Station, Hotel Vancouver, Marine Building, Burrard Bridge, Granville Street Bridge, and the city beyond. 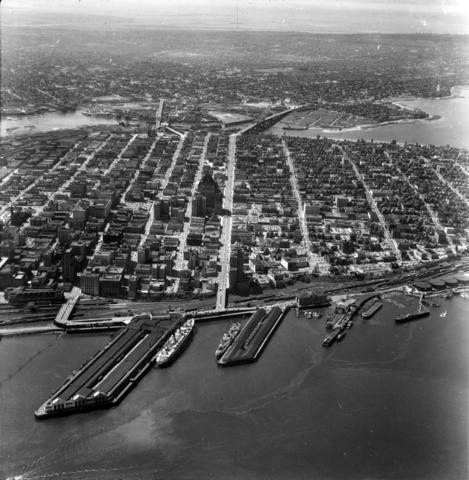 Publication use requires the inclusion of a credit line, which should read: Photograph courtesy of Triathalon Mapping Corporation (Pacific Survey Corporation), City of Vancouver Archives, CVA 59-[insert relevant #]. Photograph number: BO - 53 - 28. "Downtown Vancouver 1953" inscribed on verso in blue pen on a Pacific Survey Corporation sticker.